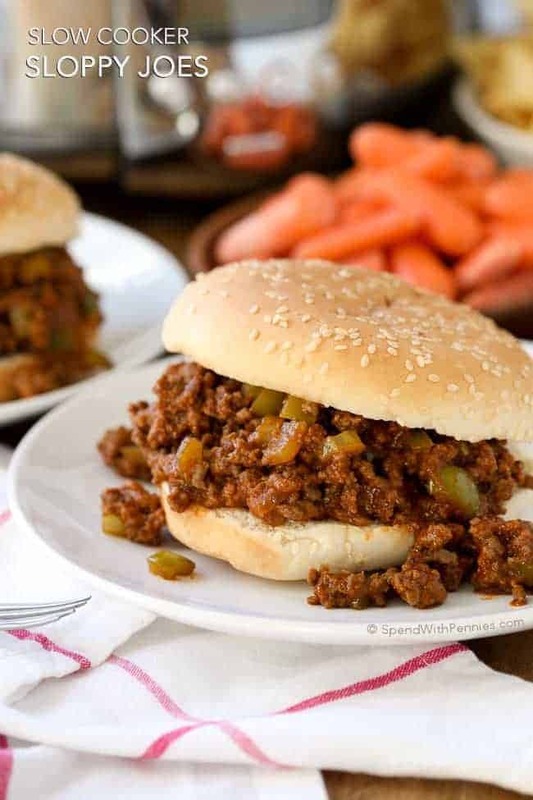 These Slow Cooker Sloppy Joes are the perfect way to feed a crowd because they can be prepared up to 24 hours in advance. 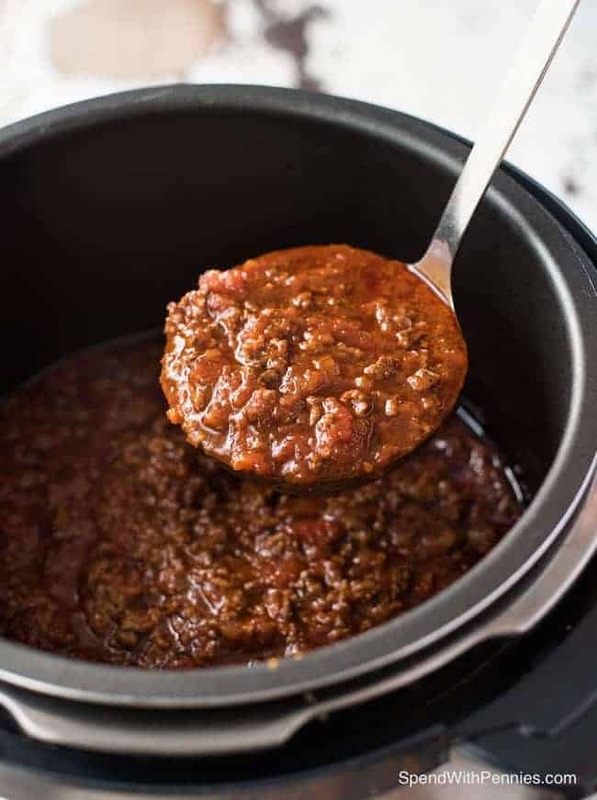 Ground beef and peppers are cooked in the Crock Pot in a quick zesty sauce for a family favorite meal that’s ready when you are! For years I made the canned variety of sauce, not realizing how easy (and delicious) they are to make homemade. 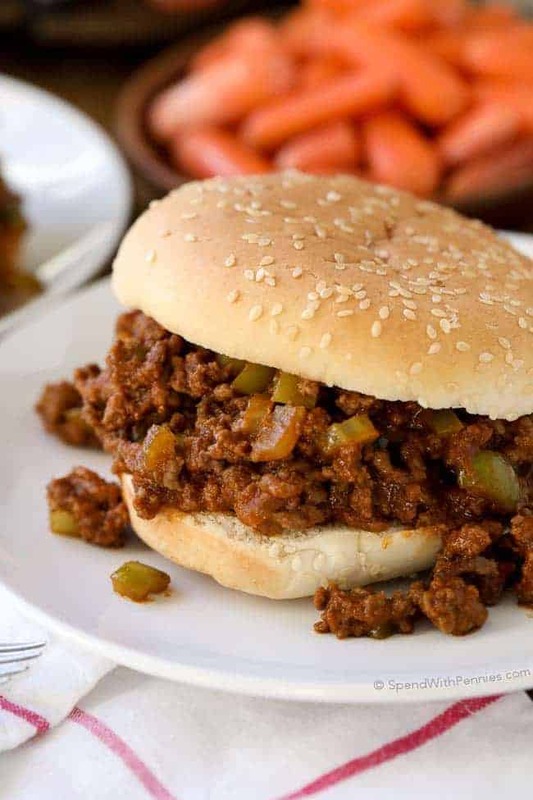 A simple mixture of ground beef, onion, green pepper simmered in a quick sauce made of ingredients you likely already have on hand! 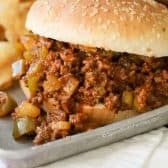 While you can make sloppy joes on the stove top fairly quickly, I love this crock pot version because I can prep everything as far as 24 hours in advance. 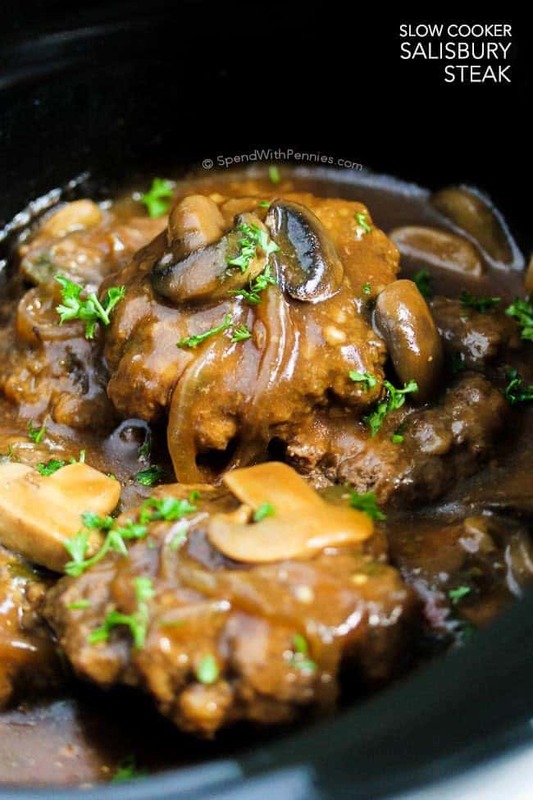 I find that the beef is more tender and the flavor is better if it’s simmered all day. Not to mention, it’s perfect to come home to after soccer practice so we aren’t waiting for dinner. Note: For those of you that have asked about the chopper used in the video, you can find info on it here or get it on Amazon here! 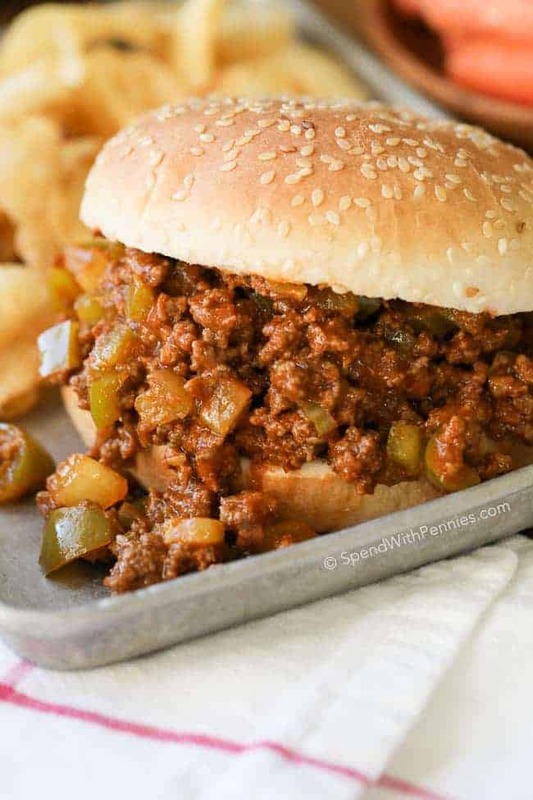 If you are planning a party or gathering, these Slow Cooker Sloppy Joes are the perfect meal to serve. Not only does everyone love them, you can have everything prepped and ready long before your guests arrive. The day of my party, I just simple pop it in my crock pot and a few hours later a meal is ready when we are! 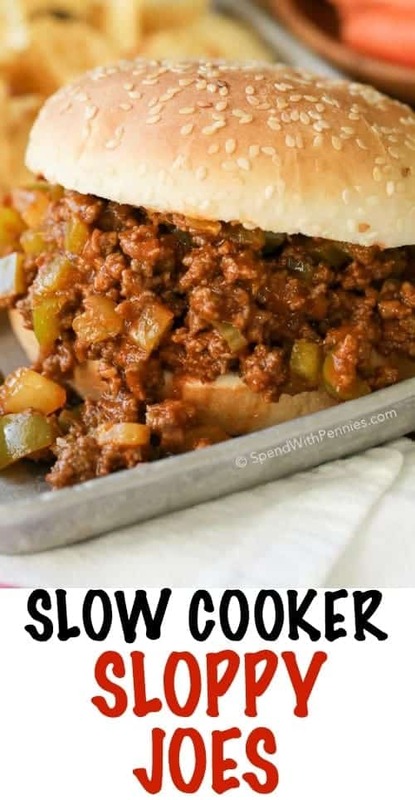 Once it’s cooked you can turn your slow cooker to warm and leave it for people to serve themselves as they’re ready to eat (and slider buns make a great addition to the table as well)! 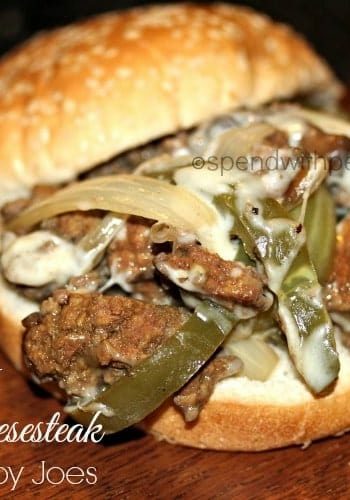 I use a lean ground beef and drain it before adding it to the slow cooker however this recipe does work well with ground turkey (I sometimes add a beef boullion cube just to add a little bit more flavor if using turkey). If you’re not familiar with chili sauce, it is delicious. 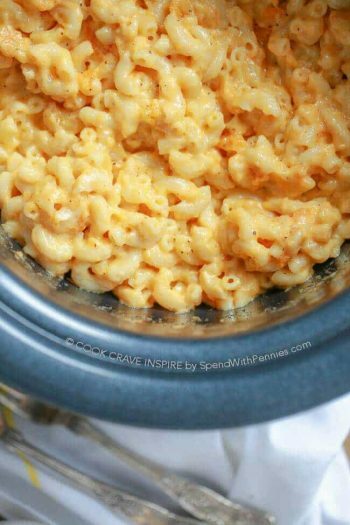 It is a zesty sauce (it’s not spicy) similar to ketchup but less sweet and has way more flavor. I use it to top my meatloaf (mixed 50/50 with ketchup) or mixed 50/50 with barbecue sauce for the best rib sauce ever! 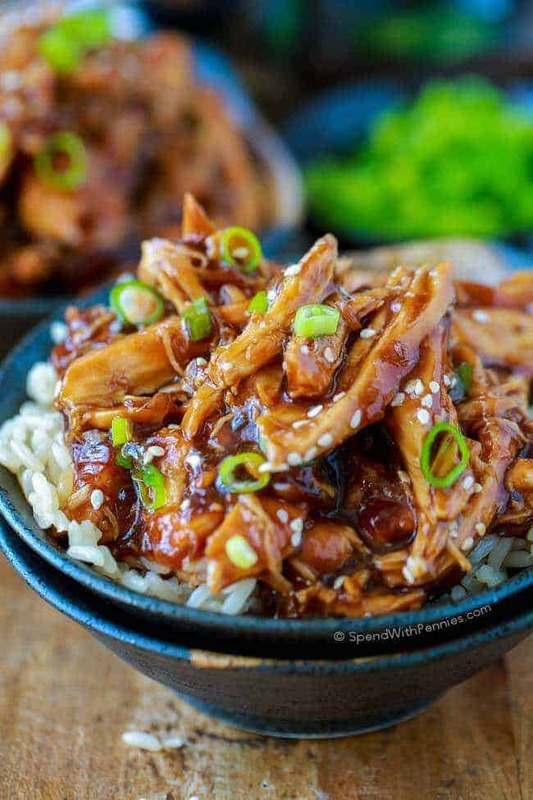 When cooking a single batch of this recipe, I use a 4 QT slow cooker however if you’re doubling it for a crowd, I’d recommend a 6QT slow cooker. 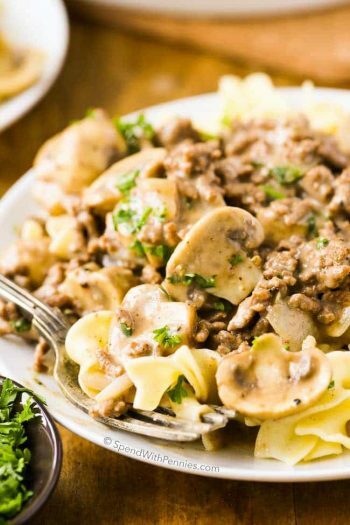 And if you’re taking this on a camping trip or would like to prepare ahead of time, you can put all ingredients in a plastic freezer bag or container until it is ready to cook. Brown ground beef, onion, and garlic until no pink remains. Drain any fat. Place beef in a 4 qt slow cooker. Add remaining ingredients (except rolls) and stir to combine. Cook on low 6-7 hours or high 3-4 hours. Serve over rolls or slider buns. Nutrition information does not include rolls or buns.